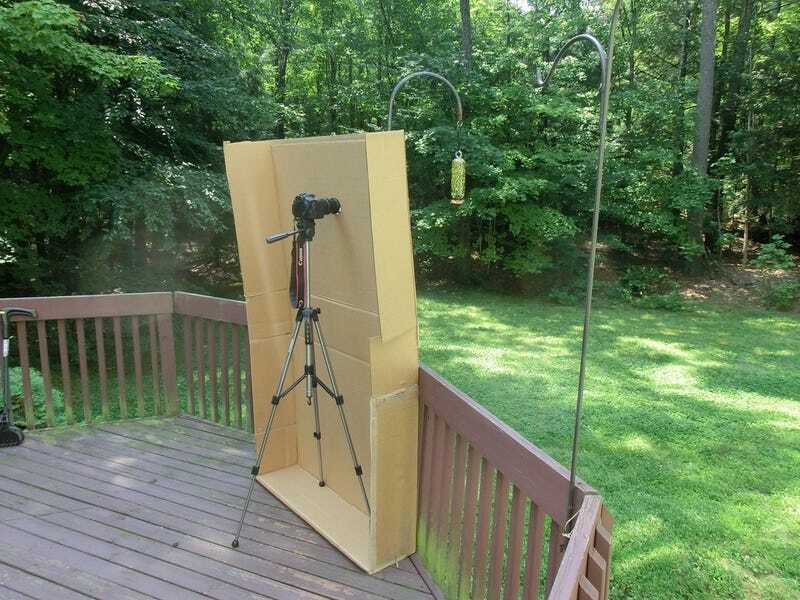 Here is this morning's project, a DIY bird blind I made from the box my patio chair came in. It took me about 10 minutes to cut it open, tape it together and then cut a hole for the lens. The camera (Canon 60D) and tripod stabilize it. This latest batch of hummingbirds are not as keen on me standing there as previous generations were, so I figured if they had to choose between "scary man" and "giant box, looks totally legit", they'd be more comfortable with the latter. And here's one of the shots I got less than 10 minutes after setting it up.